It’s always best to plan for the unplanned, because we never know what could happen. And even when we do, things don’t always turn out for the best. For one, losing your car helplessly to a thief can be frustrating. Luckily, today’s tech offers us a better chance for recovering and tracking our stolen vehicles with a GPS tracker. GPS trackers are becoming a basic necessity now used by businesses, regular drivers and parents. See, more than just tracking your vehicle’s location, it also monitors speed and vehicle engine state. Moreover, it helps locate you when you need assistance with your vehicle or any other emergency. The market has a wide variety of options nowadays when it comes to GPS trackers. So to help you make the best buying choice, we’ve done the researched for you. Today, we share our top picks in GPS trackers. When it comes to GPS trackers, Spy Tec is a name you can’t miss. 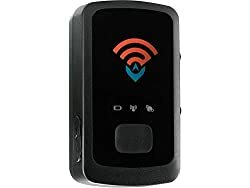 This brand is popular for reliable GPS tracking solutions on the market. The STI GL300 specifically, gives you almost 100% coverage in vehicle tracking through its real-time GPS tracking. Furthermore, it features a 3-axis acceleration meter that further improves its detection accuracy. What makes this model extra special is its geographic fencing feature. This allows you to receive real-time alerts any time your vehicle goes out a set boundary. It’s a useful feature for when you lend your car to someone else, or for car rental business that charge based on area. Moreover, this the STI GL300 only measures 1.5x0.9x2.7” making it easy to install and hide. This helps keep it away from tampering hands. Apart from geo-fencing alerts via email or sms, you can also access tracking reports on both PC and any mobile device. The service keeps data for up to a year (365 days) per device. It uses T-Mobile data to transmit information to their online data platform with a $25 monthly subscription. Power wise, this GPS tracker features motion activated battery use. This means, it only uses power once the vehicle moves. This feature helps it last for about two weeks or more before needing another charge. Some users reported billing problems, it may be best to ensure you review billing statements and understand charges to expect for your subscription. A number of users reported inconsistency in reporting and speed tracking. This could be related to data signal coverage though than the device itself. Coming from an industry leader in GPS trackers, the STI GL300 comes as an easy top pick from the market. It offers great features for tracking, reporting and battery life that many users appreciate. Moreover, it is compact and comes with a waterproof magnetic case that makes it easy to tuck away from tampering hands. 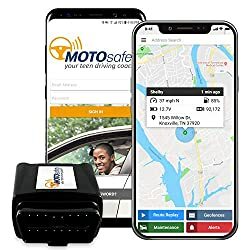 While most GPS trackers work with 2G signals, the MOTOsafety OBD works with 3G.You can choose from a variety of services starting with a $19.99/monthly subscription. However, there’s a lot more to this device that makes it one of the most popular GPS trackers. For one, it’s easy to install without the need for wires. Just plug it into the On-board diagnostics outlet and you’re good to go. And since it uses 3G signal you get a stronger coverage with 100% accuracy in tracking various indicators. This includes tracking speed, traffic, location, direction and other features through Google maps. The MOTOSafety is a popular choice with parents who like to keep track of their teens who drive. It features geo-fencing for specific areas like school and approved areas while also providing a detailed driving scorecard. So more than just keeping them within their safe zone, it also helps parents keep track of their driving habits and behavior. Moreover, this information is easily available through an integrated Android and iOS app. Parents also appreciate the route replay feature of the reporting. This together with tracked behaviors in speeding, aggressive acceleration and even harsh breaking provides useful insights. These details not only helps keep track of teen drivers but also help parents guide them to safer driving habits. Finally, with its OBD compatibility, it’s easy to transfer between other vehicles allowing families to track their vehicle of choice. Though even poor reviews say the product works well, a number of customers aren’t happy with their customer support quality. Concerns tend to be specific about cancellation problems. 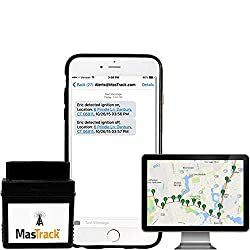 Overall, this GPS tracker provides everything a parent needs to keep an eye of their teen drivers. But more than that, its reporting feature gives them actionable information that helps them train and guide their teens to be better drivers. Moreover, since it uses 3G connectivity vs. 2G, you get better accuracy in reporting. Another model that stands out in the sea of GPS trackers is the Automatic PRO-AUT-350. This unit also plugs directly into your car’s ODB and uses 3G network for real-time tracking feeds. 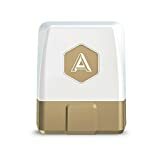 What makes this GPS tracker stand out in value is that it offers 5 years of unlimited 3G coverage for free. That’s probably also more than enough for the product’s lifespan. More than the free 5-year unlimited 3G, many users also appreciates its emergency alerts. It has the ability to contact authorities and emergency services for any reported/identified accidents. The PRO AUT- 350 also features a downloadable app for real time tracking and a reporting system allowing you to review trips logged on Google Sheets. Moreover, since its app is also integrated with the IFTTT platform it also support other smart functions networked with your home. Like your garage door, lights and other applications. This GPS tracker also comes Amazon Echo ready, giving you voice command access to locating your car. Just ask “Alexa where’s my car?” if you’re trying to remember where you parked or just trying to locate it remotely. A number of users were disappointed with its crash alert feature. There were occasions where the emergency notifications did not work during accidents. The PRO AUT-350 has a lot of appealing features for different needs. From ensured vehicle tracing whenever needed, detailed reporting for expenses/business needs, or simply monitoring kids, it’s a very useful tool. While the unit cost seems high at first glance, the inclusion of a 5-year 3G service makes-up in value. Moreover, for the price you get a feature-packed unit and service. Powered by a 3300mAh battery, the ABLEGRID GT001 lasts for a good 180 days on standby and up to 2 weeks of run time each charge. And while it’s bigger than other GPS trackers, it’s still compact enough to tuck inside different car compartments. It still only measures 4 x 2.2 x 9” and doesn’t require installation making it portable and transferrable between vehicles. 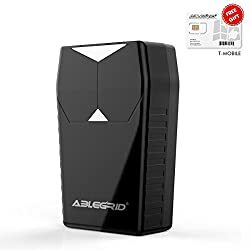 The ABLEGRID GT001 also features the latest UBLOX G7020 chip that supports better signal strength and higher accuracy. This means you get precise and quick global location easily viewed through the Ablegrid app. When checking for routes, you’re also sure to get accurate real time Google map updates as well as your historical routes. You can easily review travel routes taken so you always know where your car has been. The unit comes with a free sim card connecting the device to wireless 2G networks. It’s a scale down from a 3G connection but still does a good job even in locations like urban canyons. With the ABLEGRID GT001’s long battery life, you’re sure to get the GPS tracking service you need for long trips. Whether it’s your own adventure or you use it for tracking trucks and vehicles for business, this battery feature comes in handy. Moreover, you also have access to historical routes should you need to review or audit where your vehicle has been. Coming at a pocket sized 1 x 1.5 x 3” this GPS tracker takes portability to another level. With its size, it’s easy to sneak into the glove compartment or side pockets or even your kid’s backpack. Moreover, since it doesn’t need installation you can easily move it wherever you need it to be. Its monthly service plan gives you access to a number of good useful reports and features. Plus, the service doesn’t require a contract obligation allowing users to cancel the service any time. The Optimus 2.0 comes feature-packed with geo-fencing and alerts for different activities from the moment your vehicle moves. You get e-mail and SMS notifications for vehicle movement, excessive speed and low power. Moreover, real-time updates are also available in 30-second intervals with the option to upgrade to 10-second intervals.Meanwhile, depending on usage, the battery lasts between one to two weeks for every charge. These features are easily accessible through its iOS and Android app. With that, you get real-time updates and reporting through your mobile device anywhere you are. This GPS tracker also comes in handy for emergencies with its SOS feature that calls for emergency services. So more than just being a sneaky tool, it comes in handy when the driver ever needs help during an emergency. Now when it comes to reporting, you get detailed reporting on distance, routes, time moving, and parked areas in historical data. Meanwhile, its real-time view and reporting provides you running speed and location. You can also opt to view this in Google Maps with the option for Live Traffic and Street View. Though complaints are rare, the unit doesn’t seem to work as well in some remote mountainous areas. Some who switched cellular providers got better signal and service. The Optimus 2.0 continues to receive many raving reviews. 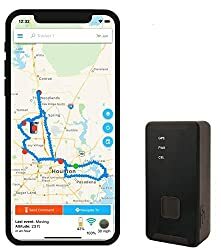 For a reasonable price, you get a great feature-packed GPS tracker that offers both detailed real-time and historical reporting. Moreover, it’s small enough to sneak into your child’s backpack if you need to keep tabs. So if you’re keen on monitoring your teen driver or even kids out on a trip, it’s a useful tool. It’s compact, reliable and hard to detect. Want to follow-up on your teen’s driving habits? Then your best bet is the MasTrack OBD. It’s the best when it comes to detailed feedback along with a slew of other useful features. When it comes to driving behavior feedback, this tracker gives you access to sms or e-mail alerts on various behaviors. Moreover, there’s no limit to these alerts that cover notifications for excessive speed, harsh breaking, as well as geo-fencing. You also receive alerts when there are any attempts to tamper with the unit, so nothing gets past you. If the user ever successfully unplugs the device, you can still continue tracking it thanks to its back-up battery. Meanwhile, even if it does lose signal, it stores information and uploads it in reporting once signal is available. The unit plugs directly into your vehicle’s OBD II port designed to install easily without wires. 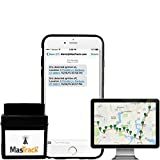 So, along with basic GPS tracking functions, the MasTrack OBD also gives you access to vehicle diagnostic reminders and alerts. This includes your engine condition, ignition status and other details. With a monthly subscription as low as $10.99, you get nationwide coverage in USA and Canada and receive regular updates as preferred. Real-time updates can be set-up to every minute with the subscription plan. Though even poor reviews give it 3-star ratings, most complaints seem related to defective units. Overall, the MasTrack OBD is a reliable device for GPS location needs and keeping track of driving behavior. Many users appreciate the detail in reporting as well as the access to regular timed updates via e-mail and SMS. Plus, it continues to be traceable even when unplugged. Top all that with an affordable service plan, the MasTrack OBD definitely stands out in the market. More than just your regular tracing and driving review, the Mileage Ace Pro comes handy with accounting and logistics. It provides 99% accurate mileage logs helping you audit this against gas consumption and other details against mileage. For one, it’s completely tamper-proof with logs uploaded into IRS trusts ensuring a protected deduction from an audit. It’s a larger unit compared to other trackers measuring 4.5x5x1.5” but it provides accurate and detailed logs. Its report includes details like starting point to end-point addresses, travelled routes and exact mileage. This means you can manage and follow-up on efficiency of trips made. As soon as the vehicle ignition turns on, the Mileage Ace Pro activates and uploads data online via WiFi. You can then view or retrieve this information through its online platform, which logs the data per user. The unit comes with a free 30-day subscription. After the free period, the monthly subscription options are available for as low as $13/month for location services and about $0.20 daily for mobile data. If tracking mileage is very important to your business, the Mileage Ace Pro is a reliable tool to use. It records the highest in accuracy when it comes to collecting and keeping mileage data. This means you get peace of mind when it comes to an IRS audit. Moreover, it does more than just log mileage; you still get the benefits of a GPS tracker. This includes real-time updates and tracking as well as reporting on routes taken.